Our tow-able concrete carts mix and dump saving you work pouring your concrete. We have two sizes of carts. Our smaller carts can hold between .25 yards and 1.25 yards. Our larger carts can hold between 1.5 yards and 2 yards. Full Size 1/2 ton or larger truck. Master card or Visa card to hold cart. 2 hours minimum trailer rental. Concrete trailer must be returned clean. Rinse several times. Leave 15 gallons of water in trailer. Needs to be clean, clear water when returning trailer. There will be a $75 cleaning fee if it’s not clean and clear water. Cart needs to rotate while driving so as not to ruin the casters. The customer is responsible to pay for replacement of casters if cart does not continually rotate. Maximum 2 hours allowed for concrete trailer rentals. If exceeded, there will be a $25 late charge for the first half-hour and an additional $25 charge for every 15 minute increment thereafter. Concrete Carts must be cleaned upon returning!! 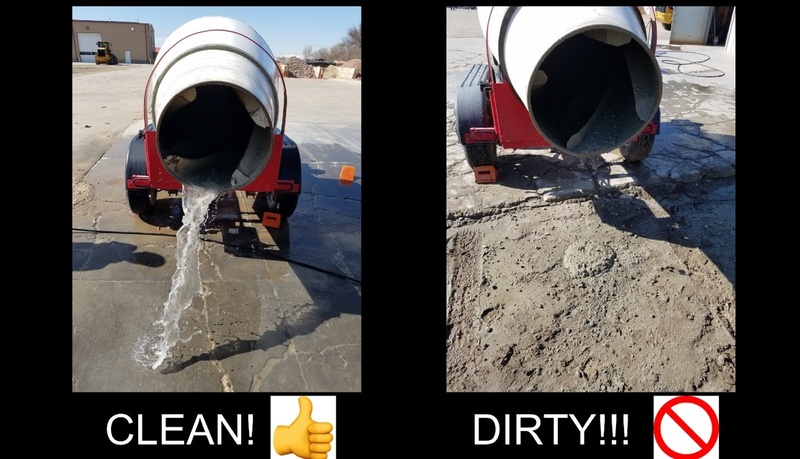 If concrete mix has dried and compacted return ASAP, You-The Customer will be Repsonsible to pay for a substantial cleaning fee, Damage Fees, Rental Equipment and additional Wages to Clean & Repair Concrete Trailer to original working condition. Including any loss of business due to cart away cart inavailabiltiy. Again Please Return our Concrete Carts Clean for our Next Customer Use! Thank You! We want this to be a good experience for all, so please clean accordingly!